I fully expected this to be another awful live action remake of a classic film. Disney’s last attempt to give an animation a live action make over, Alice in Wonderland, was about as enjoyable as licking a toilet bowl. It is fair to say that I went into Cinderella with low expectations (especially after seeing ANOTHER PRICE INCREASE at the local Odeon. Those robbing so and sos). It went above and beyond those low expectations! If a film doesn’t grab you in the first ten minutes it won’t grab you at all. And for the first ten minutes of Cinderella, my cynicism got the better of me. I wondered why it was necessary to see Cinderella’s back story, and worried it would drag on and on. 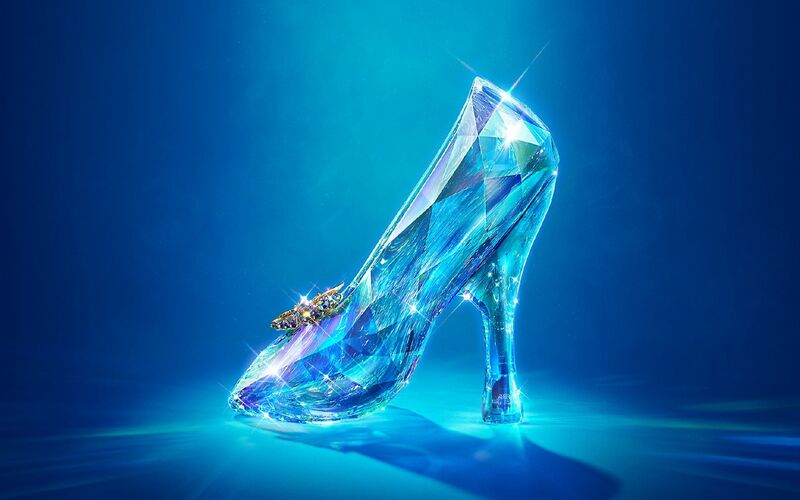 There was unnecessary foreshadowing (dancing with her father, as she would with the prince, and seeing young Cindy’s foot dangle in a shoe, foreshadowing her trying the glass slipper on). Cinderella’s mother was only on the screen for five minutes before her death, which took away any chance to get emotionally invested in her. However, it wasn’t too long after the death scene that things picked up and my cynicism was slowly eroded away. “Cindy: The Early Years” didn’t last too long. The tendency with remakes is to flesh out the back story. Often it feels trite and forced, a way to pad out the story. And without the songs and talking animals, there isn’t much to the original Cinderella. To be given time with her parents gave Cinderella’s fall into forced servitude a greater degree of emotional complexity. Her father’s death, told to Cinderella by a simple farmer, brought a tear to the eye. While her stepsisters mourn the loss of potential gifts, and her stepmother wonders how the family will live, Cindy tries to comfort the farmer (even though it’s her father that’s died). Both stepsisters play their part to perfection, instantly irritating and loathsome. They wonder if Cinderella’s house is a farmyard on first seeing it, and use French to embarrass Cinderella (but we already know that Cinderella knows French, and it sets up a great Cindy comeback later on in the film). After viewing the trailer, I debated the point of having Cinderella meeting the Prince before the ball. Surely it would just be another way to pad the film out? However, their meeting in the forest (their pacing around each other perfectly mirrored their conversation) gave impetus to their eventual pairing. The focus on the prince turned him from just a pretty face to a complicated (well, for Disney) male character. His father, the King, wasn’t just interested in an heir to the throne; with his own mortality staring him in the face, he wanted his son to have happiness (and, by extension, secure his kingdom by having a child). 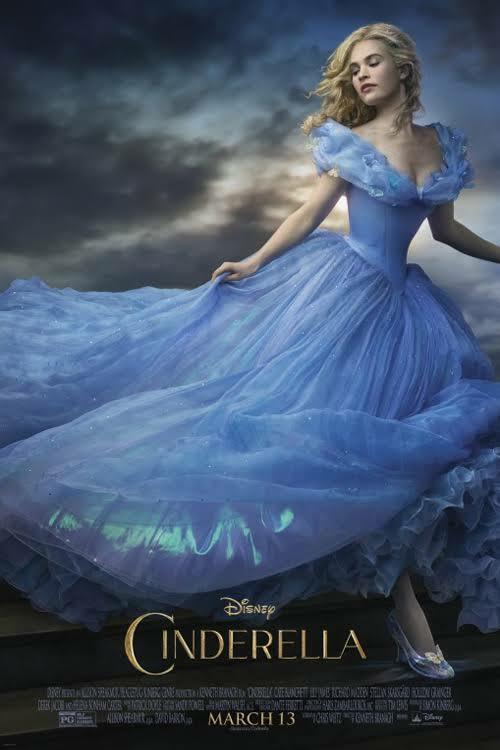 Most of the characters are enhanced by the little twists to the Cinderella story. It’s strange, then, that the only character who doesn’t benefit from an extended back story is the Stepmother herself. Her character, purportedly the main villain, suffers from a short screen time. It is a ‘punch the air moment’ when Cinderella finally turns the tables on her (“You were never my mother!”), but there isn’t much else to say about the stepmother. Her own ‘once upon a time’ tale hints at a happier past that was torn apart by death, but it comes all too late. It leaves quite a gap in the film, the lack of a decent ‘villain’ (the same could be said of Frozen). However, that is one of the few flaws in the film. Kenneth Brannagh, after successfully bringing Thor to the big screen, works wonders with Cinderella. He revels in this film, doing much to separate it from the original animation. The cameos of several great British actors (both Fairy Godmothers and a certain comedian artist) bring humour and fun to the plate. Lily James, however, must be given the greatest of credit. Her pained speech increases as the movie and her suffering progresses, and she hauls our sympathies along with her. Her pained speech may have resulted from her shrunken waist. Her Fairy Godmother-given ball dress in particular emphasises her extreme hourglass figure. It sickened and fascinated me. In an attempt to get the ‘Disney Princess’ look, she must have starved for weeks on end. Every time the Prince grabbed her, I feared she would snap in half. VERDICT: 7/10. A worthwhile remake, gloriously made and acted. The differences from the original story make a great impact on the emotional attachment to the film. However, it still retains the questionable notions that the original film embodied. All it takes in life is to be skinny and pretty and you don’t need to do much else…maybe Cinderella could have been updated with a better moral to the story?!?? !